Preheat the oven to 350°. Coat a 10-by-5-inch loaf pan with nonstick baking spray and dust with flour, shaking out the excess. In a large bowl, whisk the 1 1/3 cups of flour with the baking soda, 1 teaspoon of the cinnamon and the salt. In another large bowl, whisk the bananas with the eggs, brown sugar, oil, maple syrup and 1/4 cup of water. Make a well in the dry ingredients. Using a rubber spatula, scrape the banana mixture into the dry ingredients and stir gently to combine. Let the batter stand at room temperature for 10 minutes; it will get noticeably thicker. In a small bowl, using a fork, stir the granulated sugar the remaining ½ teaspoon of cinnamon. Scrape the batter into the prepared pan and sprinkle with the cinnamon sugar. Bake for 1 hour until a skewer inserted into the center of the loaf comes out clean. Transfer the pan to a rack and let cool for 15 minutes. Turn the bread out onto the rack and let cool completely before slicing. 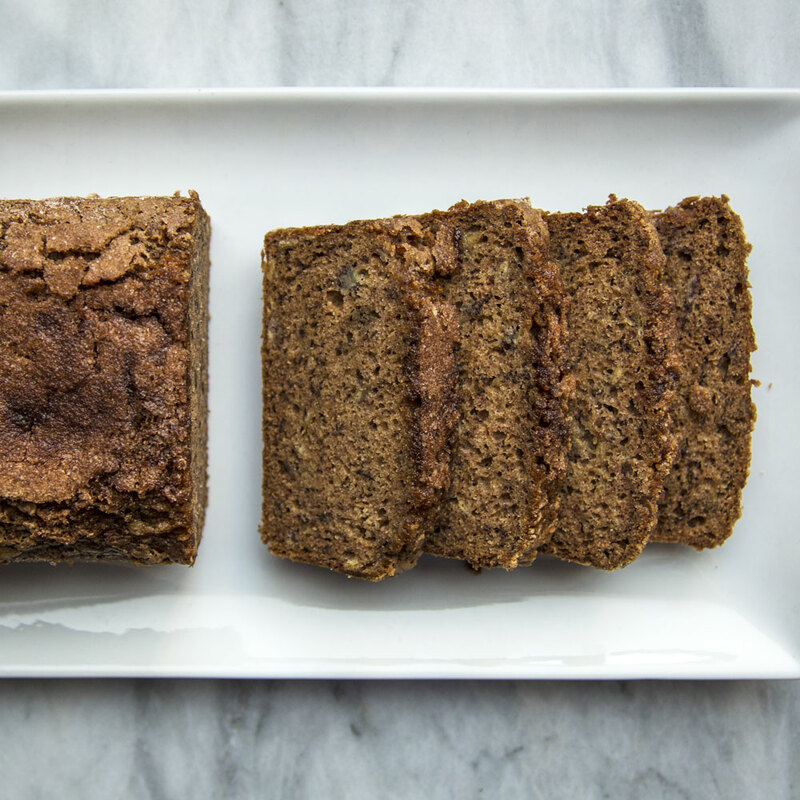 The banana bread can be wrapped in plastic and refrigerated for up to 1 week.